Food trucks are very hot around Columbus right now. I read in a recent article that there are approximatly 70 food trucks roaming the streets of Columbus, Ohio. Although this article examines if Columbus is at it's peak of popularity of food trucks, I totally disagree and think they are only going to get more and more popular. Case in point, the local food trucks are currently the buzz around our work. We have about 1 or 2 food trucks that stop by our office each week and there is usually a pretty long line, especially when a new truck stops by, waiting at each truck during lunch time. This is pretty big considering we are about 20 mins north of downtown Columbus, where the biggest food truck buzz is going on. You can also find many food trucks at local festivals and at tailgating on the weekends, and there is even a food truck festival coming up in July, which I will totally be attending! 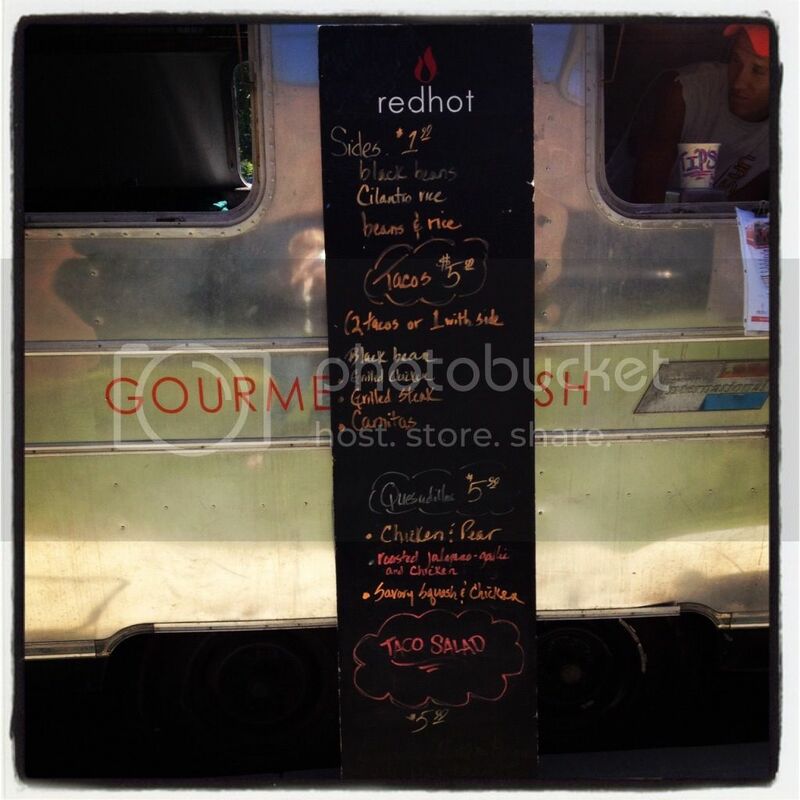 The Red Hot food truck is one of the trucks that has stopped by our offices a few times. Last week was the first time that I had tried this truck and was very happy with my lunch purchase from this truck! 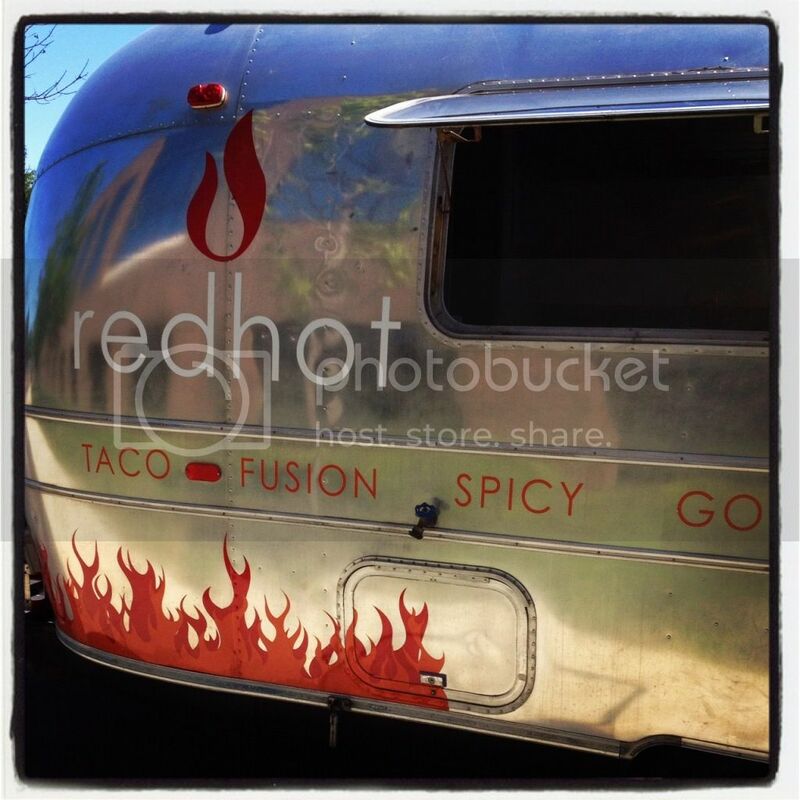 The Red Hot food truck specializes in tex-mex-fusion and their menu items range from soups and salads to quesadillas and tacos. 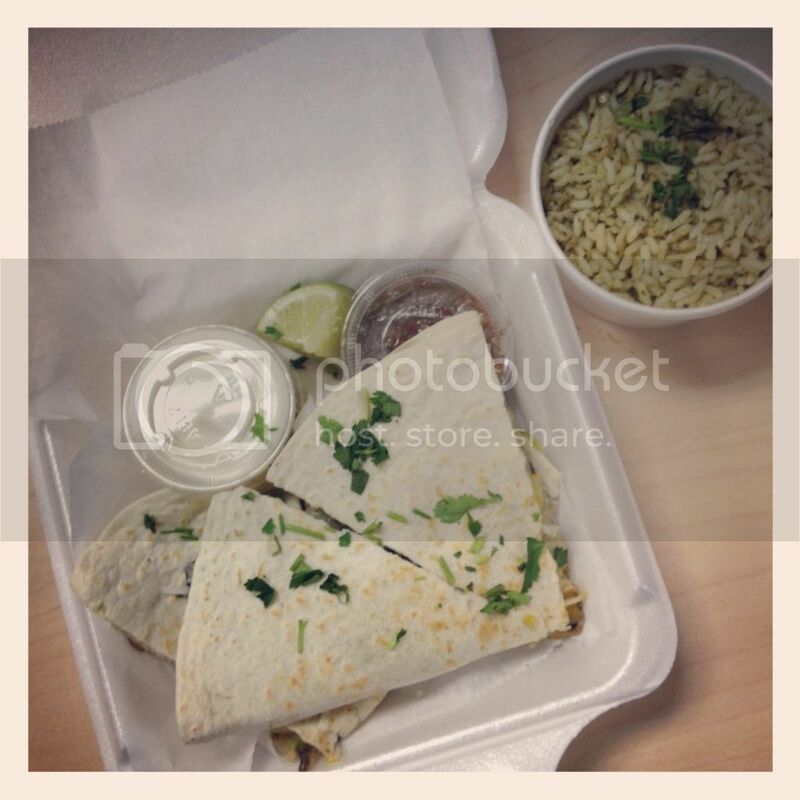 I asked what one of their most popular items was and they recommended the Chicken and Pear Quesadilla. I also tried the Cilantro Rice as a side item. This was very tasty and had a very unique flavor and texture to it. It included pieces of chicken, thin slices of pears, onions, black beans, guacamole and cheese. This quesadilla was very creamy, but it also had a slight crunch to it with the thinly sliced pears in it. It was definitely a different taste, but very good none the less. Overall the service was great and very fast, and the prices weren't too high either. I will definitely try this truck again and am looking possibly trying the taco's next.